Which Airports Have X-ray Full Body Scanners? Which airports have full body scanners? 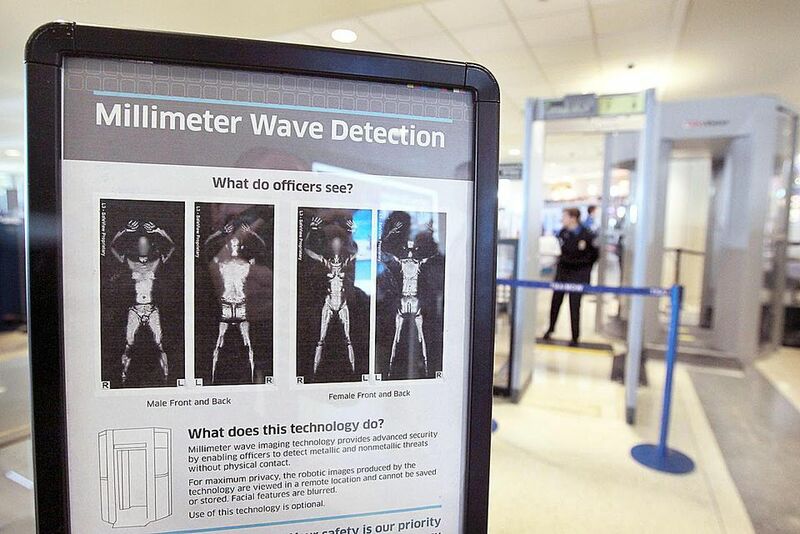 Across the US, 172 airports now have full-body x-ray scanners, at airports security. The millimeter wave machines were tested at Phoenix's Sky Harbor and LA's LAX airports back in 2006/7. Americans didn't complain, so we now have there are 172 airports where we can either pass through the machines or receive a body search/patdown from a TSA employee. The body imaging, or millimeter wave imaging machines, or TSA full-body scanners, scan a passenger on all sides and transmit the image of the passenger's body, without clothing, to a TSA agent seated 50-100 feet away from the TSA scanner. The object is to identify concealed (purposely or not) metal, plastics, ceramics, chemical materials, and explosives via millimeter wave technology. You can also find a constantly updated list at the FlyersTalk Forum. Should You Avoid an Airport With a Full-Body Scanner? Whether or not you want to pass through these machines is a personal decision, and if you're big on privacy, it's understandable that you don't want airport staff to see your body without clothes on. If you do feel uncomfortable with the prospect, you can ask for a full-body pat down as an alternative, but keep in mind that it's likely to feel fairly invasive as well. It isn't advised to avoid an airport just because they have the scanners, because there are other options available to you. Avoiding airports with the full-body scanners may only make your travel more frustrating and expensive. You'll seriously limit your options when it comes to where you can fly out of, as most airports do utilize these types of scanners. It keeps us all safer as we fly, and it only takes a few quick seconds of discomfort to gain that.